A collection of Hugo and Nebula award winning stories. 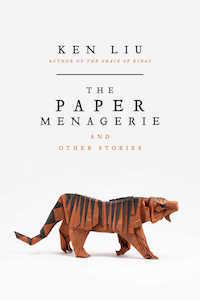 Ken Liu's The Paper Menagerie and Other Stories is a book from which I staggered away, dazed, unable to speak. I have wrestled with how to review it, circled my metaphors like a wary cat, and finally abandoned the enterprise of trying to live up to its accomplishment. I will be honest, and blunt, because this is a book that has scoured me of language and insight and left itself rattling around inside the shell of me. I have never been so moved by a collection of short fiction. To call [Liu's] book one of the best collections of speculative fiction I've ever read is simply to begin my praise. Liu's book compiles brilliant stories written in several different, overlapping modes, a technically dazzling collection of compulsively readable narratives, presenting characters with agonizing moral dilemmas and never forgetting the heart. 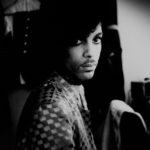 What did you think of The Paper Menagerie?